Lulled to sleep by the sound of our unborn's heartbeat. Awoken by the flash of lightning and chirping of birds outside of the window...oh and the blast of neon lighting as the nurse comes in to get the A.M.vitals and blood work at 5:00! Rise & shine! Might as well use the opportunity/time to myself to go on a little "cupcake hunt" for the wee one we are expecting! Off to the fabulous world of Etsy! Though slightly more challenging to find cupcake apparell for a little "man" vs. a little girl...I am beyond pleased with my search results! 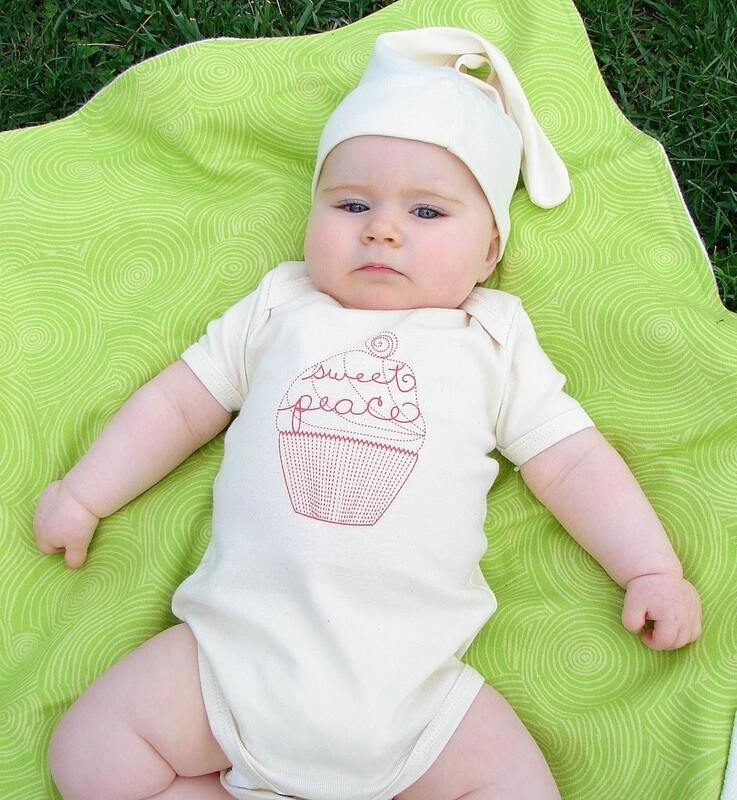 @ Baybe's shop, an organic "sweet peace" onesie w/cute little beanie! 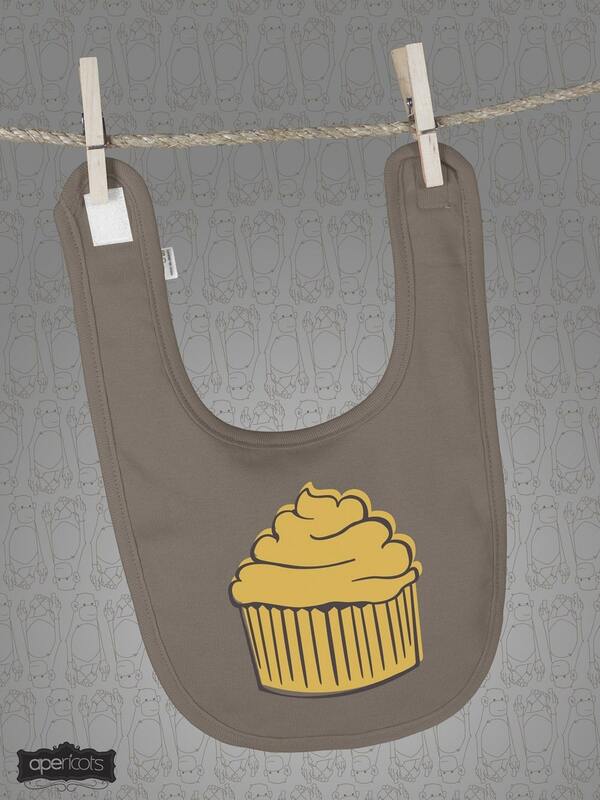 @Apericot's shop, an orange cup cake bib (available in a variety of colors as well as coordinating onesies and beanies. I hope to attain a few "sets") They also do custom! 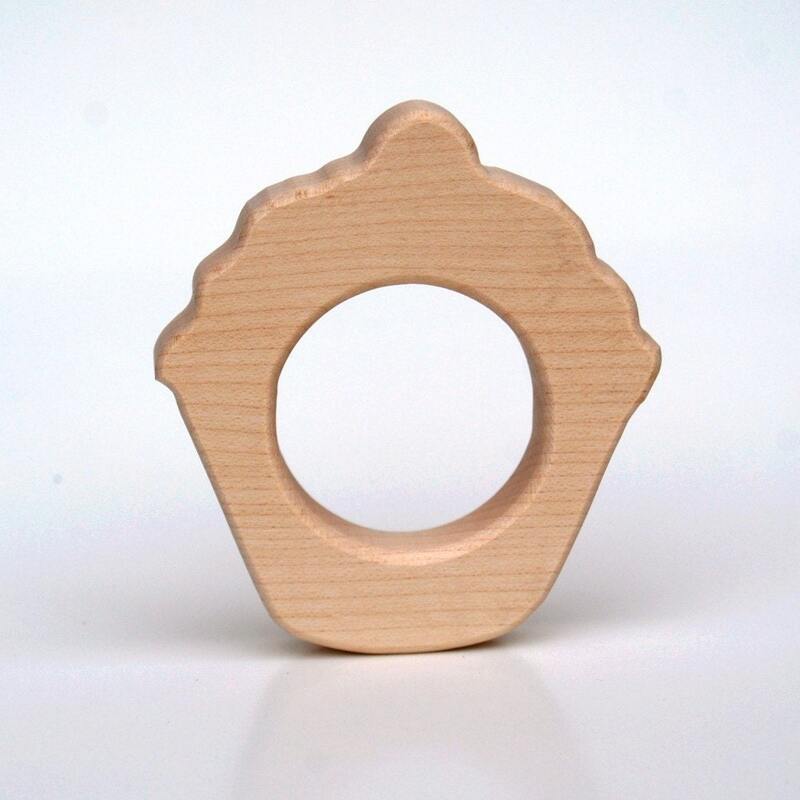 @Little Sappling Toys shop, a wooden cupcake teether (they also have an adorable bat and guitar that are saved to my faves! )Bonus: they plant a tree for each toy purchased! So there you have a few of my fave cupcake finds for an "infant boy". Remember, they're all found on Etsy. If you find some more please Share!! !